PRG is proud to take part in the upcoming Mock Line Strike pipeline safety event on Wednesday, November 1, at the North Carolina State Fairgrounds in Raleigh, North Carolina. This event was originally scheduled for September 13. PRG is active in the 811 community, attending several events throughout the year, including April’s Tennessee 811 Annual Membership Meeting. 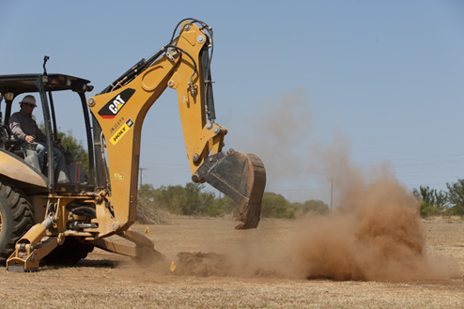 811 is an important resource for home owners, excavators, and utility companies to come together to prevent damage to underground utilities and prevent service disruptions. Multiple utility operators, excavators, emergency responders, and public officials from North Carolina will be in attendance. Featuring a simulated natural gas pipeline damage event, the Mock Line Strike will help to demonstrate the importance of calling 811 before you dig. Industry best practices will be on display, with industry professionals showing safe digging processes with real equipment in close proximity to underground utility lines. They will also demonstrate line location and marking, vacuum excavation, and pipeline operator consultation.